It may not be obvious that your commercial roof needs a replacement. But, because the roof plays a critical role in the overall performance of your building and the health and safety of its occupants, it’s a very important thing to know. The following conditions should not be ignored as they may be alerting you that a roof replacement is needed. Regardless of the type of roofing system installed, if you observe warping, blistering or bubbling of the materials you should contact a commercial roofing professional to assess the roof’s condition. The presence of these kinds of visible material distortions is a sign that moisture may be infiltrating your commercial roof system. While you may not have an active leak, entrapped moisture is a situation that should be swiftly diagnosed and addressed as it contributes to catastrophic roofing failure. Definitely, don’t ignore sagging of your roof! This could be a sign that the insulation is saturated or that the deck, on which the roof sits, is failing. The latter could present an immediate safety risk to rooftop workers and building occupants. A commercial roof’s seams and flashings are its most vulnerable parts. Cracked or crazed flashings at edge details or penetrations and gaps in roof membrane seams could very well allow moisture to enter your roof system. If diagnosed early, damaged or deteriorated flashings and seams can be relatively easy to remedy. But, if left unaddressed, these conditions lead to full roofing system failures. Furthermore, failing roof details can be a sign of a more sinister issue with the roof system’s performance that can only be fully addressed by a roof replacement. The presence of uncontrolled moisture in your building leads to serious performance and even occupant health issues. This one is easy . . . if your commercial roof is leaking get it checked out by a qualified professional. However, moisture may be present even if you don’t have an active leak. Look for ceiling tile or wall staining, and effervescence on masonry walls. Also, if you notice a musty or earthy smell it’s possible you have entrapped moisture somewhere in the building that is leading to mold growth. Mold could be present in the roofing materials, on or below the decking, or even in the walls and other structural components of the building. Do not ignore this condition as it can get very expensive to remedy and some mold spores can contribute to serious occupant health issues. An inspection performed by a qualified technician will help diagnose if any moisture entering the building is coming from the roof. 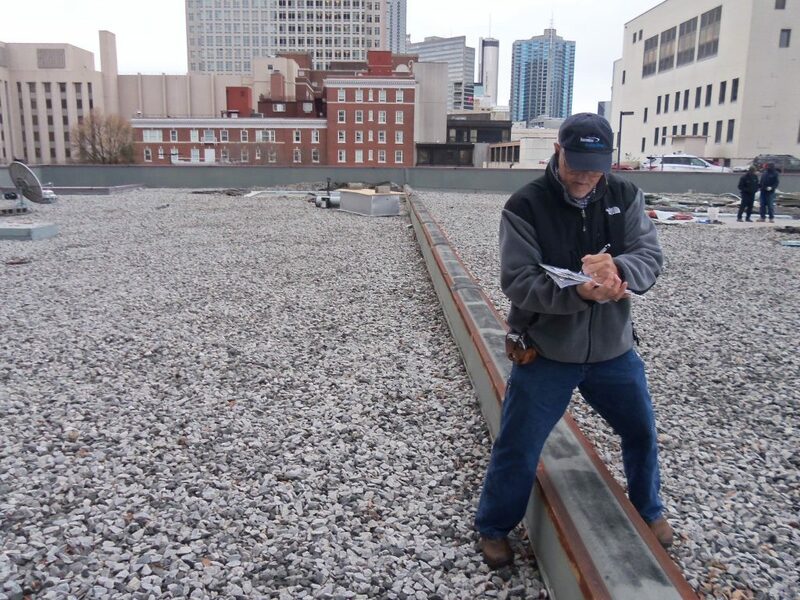 As you can see, there are several signs you can look for to know if you should seek guidance regarding a roof replacement for your commercial building. Contact Innovative Roofing Group by calling us at 404-594-6038 or sending an email to Innovative Roofing for an inspection today.